maybe someone will like a really long run! We’re going to cycle across the United States! I can finally shout that from the rooftops because we’ve both now told our employers and there are no more secrets! It’s also only 2 months to go which is a little bit goddamn scary because feel like we have so much to do both with planning and also training. Anyway it’s happening so even if we’re cycling in our pyjamas having not done another bean, WE ARE GOING. We’re cycling from Florence in Oregon to Yorktown in Virginia. All 4,200 miles of it. Going through Idaho, Montana, Wyoming, Colarado, Kansas, Missouri, Illinois, and Kentucky along the way. We know that is a lot of saddle sore, but WE CAN’T WAIT. It’s going to take 90 days in all, which is about 72 of actual cycling and we will be doing between 40 and 80 miles each day. The route is all mapped out and was devised in 1976 to celebrate America’s Bicentennial. We’re also going to be raising money for the Parkinson’s Disease Society, and hope to raise as much as possible! Ps – my prayer to the rain gods might have worked, fingers crossed. According to the forecast, the torrential rain might be holding off on Sunday. I never believed in the power of prayer before, but now I am converted. It’s gonna rain all weekend but I want to go cycling! Please rain gods, delay your downpour til Monday when I am stuck in the office and don’t care. 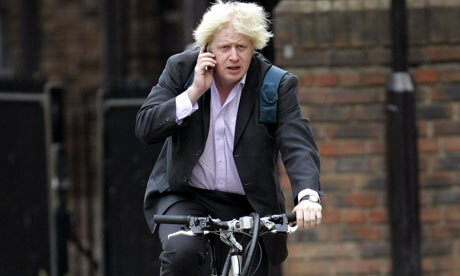 Boris Johnson has called on the government to change the law so cyclists can legally run red lights. Sounds crazy initially but actually it could be a good idea, but only if accepted by other road users. It would only apply to left hand turns and after pedestrians had crossed, and would mean that cyclists can get away before getting squished by a big truck as they also turn. Many cyclists, certainly in London run red lights anyway because many feel it's safer, so maybe if it was done officially it would work. So much needs to be done though and much of it is an attitude thing. 30 + miles taking in every hill (or what seemed like) in north London. It never felt like we were going far from the original spot, but zig-zagging all over the place. We started from Kilburn, then via Swiss Cottage, Hampstead, Highgate, Archway, Crouch End, Alexandra Palace, Hornsey, Whetstone, High Barnet, Totteridge and back down again. The hills aren’t feeling so bad now, and dare I say I am almost enjoying them?! There are some pretty swanky pads up round those parts, which perhaps takes the mind of the thigh burn. and it was the perfect ride. Only 40 miles (which after all this training, is officially ‘only’), glorious sunshine and some nice undulating hills. Not too steep, but something to remind us to keep up the training. It took about three and a half hours. What struck me was that as soon as we crossed the M25 the landscape changed instantly from greater London burbs into peaceful countryside straight away. Beautiful. Combining training with friend-visiting really is the way forward – we are always rewarded with delish food!